Like most hobbyists of any bent I’m not sure I could identify any one root inspiration. I watched a lot of martial arts movies growing up – still do – and boxing, wrestling, judo in the Olympics but I think that was because I was always drawn towards the martial arts. That I was always drawn to probing the limits of the human experience and capabilities – because that’s what I feel it means to be a human BEING. To truly BE all that one can be and EXPLORE all that one can do. But – as I’ve grown and read and studied – martial arts has also become something I hold as a responsibility to my loved ones and the world at large. There’s a quote I always remember, “être fort pour être utile” which means that one should strive to use their strength and abilities to be useful. While this applies beyond the physical it’s this that often fuels my decision to train. Most profoundly martial arts has made me more patient and focused by giving me perspective on the long tail. 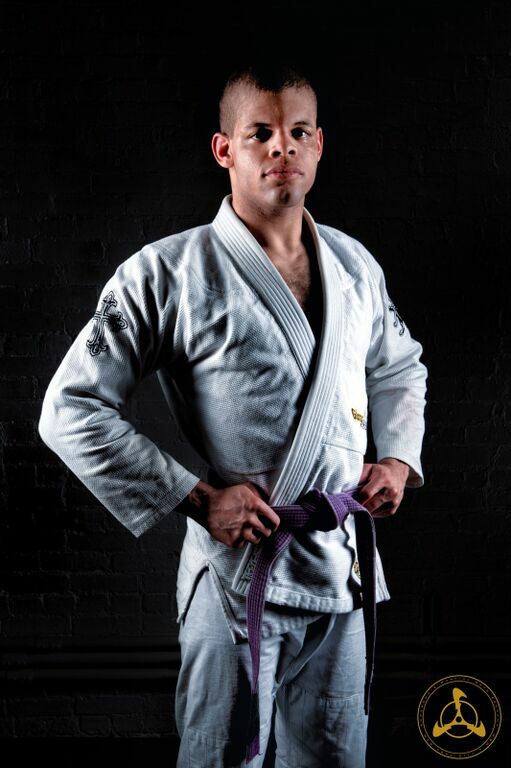 A black belt isn’t earned in a day, a week, or a month. It’s earned with years of training and dedication, starts and stops. And even then one doesn’t cease learning. It’s an endless path and that makes it so exciting. Perhaps most importantly it’s taught me that I shouldn’t hold back because failure is OK. It’s a thing that most children forget as they become adults – switching from “I don’t know how to do that yet” to “I can’t do that.” But martial arts is all about learning new things, about trying and failing repeatedly until succeeding once (exultation!) and then continuing to try, and still sometimes failing, while working to become better and better at an ever-expanding set of increasingly complex and often wholly novel skills. To be mindful of the end of a journey and to not be afraid to begin it – that’s what martial arts have taught me. I’ve been interested in martial arts since I was very young so I can’t remember how I found it. 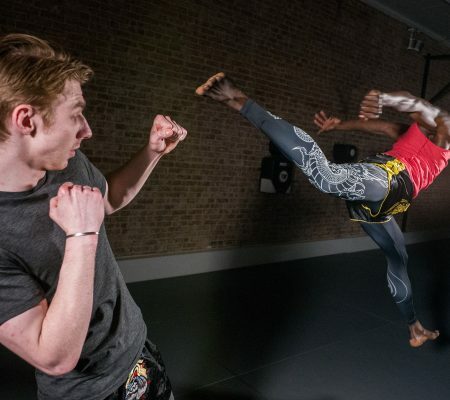 I found Anderson’s Martial Arts Academy through a happy accident – it was along the path of my commute when I first started working in the city and was looking for a new place to train. 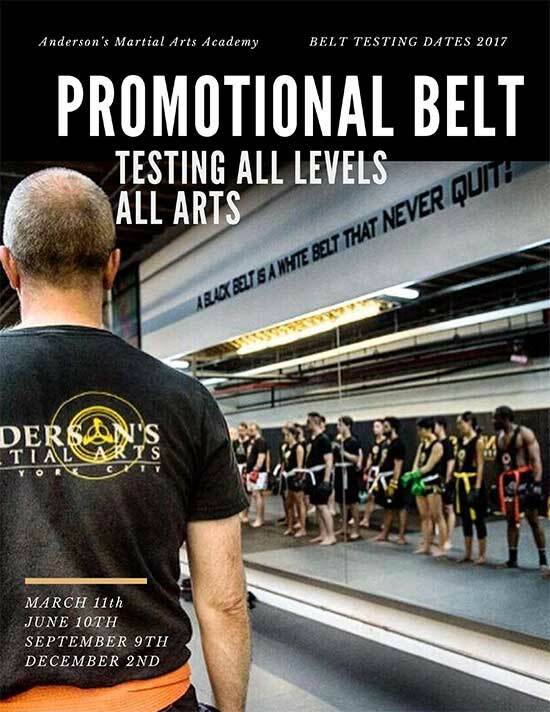 It offered so many styles – in following with the philosophy of JKD Concepts – that it was immediately appealing. Learning anything is both difficult and non-linear; sometimes one seems to be progressing only to find they’ve moved backwards, until they hurtle forwards again. Martial arts takes a certain minimum amount of obstinacy and that’s probably what I most have going for me. Easily it was learning to let go of what I’d learned in the past and approach everything anew. Typical of the negative complement to my “never give up” mentality is that being hard-headed meant I had to have this lesson beaten into me. Coming from a more classical background I didn’t see why one couldn’t use the aesthetic and graceful forms I’d learnt at other schools. 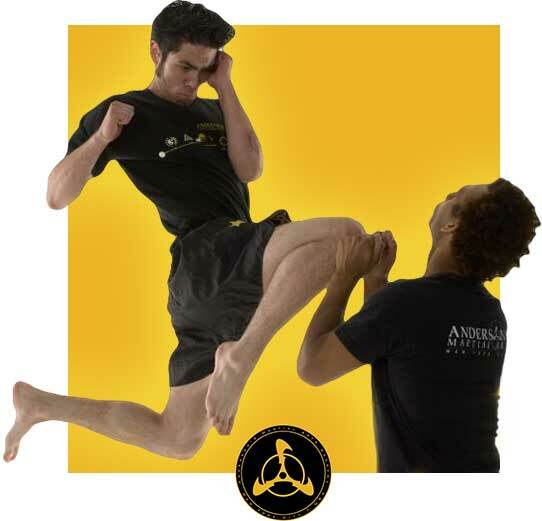 AMAA forces you into practical application (sparring) quickly, however, and eventually I got it through my thick skull. After that I worked to “empty my cup” and begin to learn anew. 7. What Classes Do You Train You The Most? It used to be phase and weapons, but now it’s almost exclusively the gentle art. I just do – see above about being hard-headed. In all seriousness I used to come into AMAA sometimes on no sleep, after working all day, and train 2-4 hours. But as my mindset has matured I’ve given increasing deference to longevity in the art and have stopped doing that. Mostly. What this translates into is that I’m the boring friend. In order to make sure I have time to train I forego partying to make sure I can work and get plenty of rest and recovery to train and practice. But martial arts is my fun so I never view it as a loss – I just do different things for fun. I’ve always been athletic, so I wouldn’t say that it’s transformed me in many ways – although obviously it’s grown my ability as a martial artist and changed my perspective about many things. But what I have come to realize over the years while watching friends who were collegiate and high school athletes is that martial arts has kept me active and focused on retaining and even expanding my athleticism. So instead of spiraling into unhealthy habits as a result of the sedentary 7-6 lifestyle of an office worker I’m focused on fitness and health and am surrounded by likeminded people who push me to do the same. If only for the physical/health benefit it’s been fantastic. 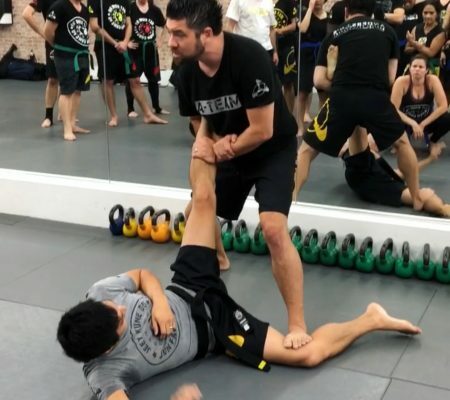 There are many reasons to try martial arts – dedication, focus, self-control, health, humility, the inspiration of gaining proficiency – but the reason I make recommendations to others to start training in the martial arts is because they’re interested in it. The benefit of martial arts will vary by practitioner. Just as each person has their own game each person interacts psychically with the arts in different ways. Maybe it gives them confidence in themselves or bolsters their sense of personal safety; maybe it’s to keep fit or to compete; maybe it’s just to spend time with friends & loved ones or maybe it’s to cultivate a new circle of friends in a new environment. Ultimately martial arts is an inherently practical application of the self. So whenever someone asks me if they should train I ask them why they’re asking. If it’s any version of “I’ve always been interested, but…” I encourage them to follow that passion and to start to train. Again, the most important thing that martial arts has taught me is that it’s always fine to fail so just try.